The worst enemy of them all. Seven years it has been. Funny how so many things in our lives revolve around the number seven: days in a week, continents, seas, deadly sins. It began back then, but it took a few years to realize that I was in a spiritual battle. My Last Enemy. I even informed this person about that. Which is a first for me. Another first is that, in spite of all the experience I have had, for the first time I admitted that either I would defeat him, he would defeat me, or we would defeat each other. I no longer had that easy assurance that I carry inside me when battle lines are drawn and I understand what I am up against. For the first time, I felt vulnerable. Not just in pieces and parts, but overall. The process felt like I was being split in two. Half of me cared for this person very much, but the other knew what I was to do. I was prepared for this battle. I had come across Lucifer souls before. The first one, which revealed itself to be a very bright light, at first confused me. I thought the light was a reflection of the person’s jollity. He was very gregarious and friendly. But as I noted the wrongness that surrounded him I came to see that the light of his soul was designed to keep anyone from seeing what it hid. 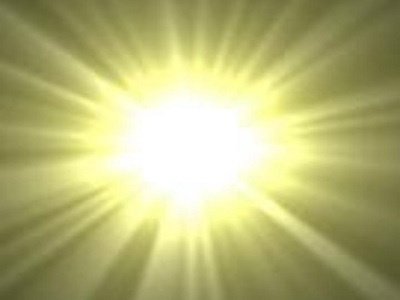 The bright light was blinding for a reason. So this time when I saw the light I was prepared. Prepared to watch it with disinterest until whatever was hiding in there came close enough to me that I could perceive it. This soul, however, was almost pure light. Pure Lucifer. And it threw me back to wondering what the whole point of soulless evil is. 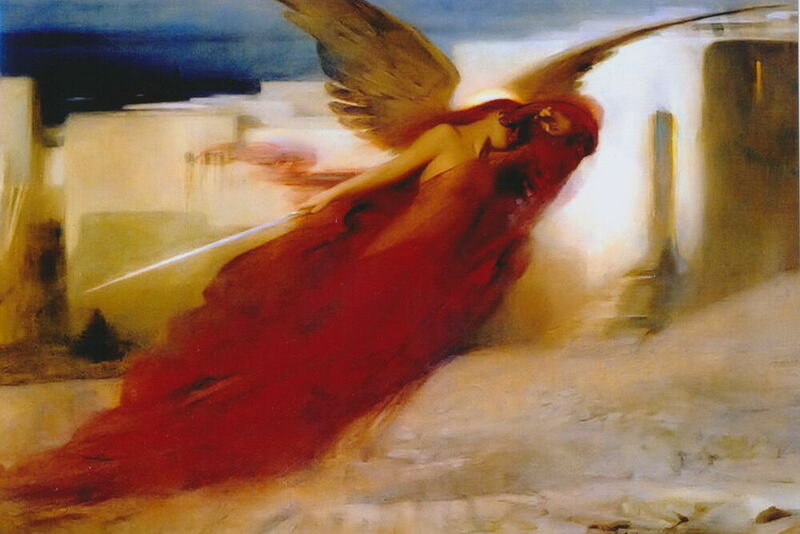 Lucifer, originating as an angel, would have no soul. All we really know about him is that he got into one hell of an argument with God. I wrote one essay on this already, concluding that it was all about attention. Look at me! And this desire to be noticed and cooed over blocked out any compassion they might feel for others. But this time I had seven whole years to watch and study. And seven whole years for that person to bounce up against me. Approach me. React to me. And today, when the end was finally announced, officially—which is always very nice, it tells me what is real—I could come away with a much fuller understanding of what it is to be Lucifer on Earth. This evil is connected with seductresses, like Jezebel, witches, psychics, palm-readers, and the like. Its lure is to promise a “gift.” You hear about this from time-to-time. I was in a meditation and it came to me that I was to be given the gift of becoming a medium. And when the mediation ended, I could feel the power rising up in me and I can already feel my new ability. It’s a hook that keeps the adherent looking in another direction than at her mistress. The adherents have their “gift” or their purpose to focus on. This is how the damage to their souls is overlooked. I suppose that, in a way, she gives him a life that he wouldn’t otherwise have on Earth. She’s the means of his ability to connect with others. To woo them and win them over. And that is the heart of Lucifer: to woo and win whatever he is after. It’s a wooing with the intention to get what he wants, and then to drop the victim when he’s finished. We’ve all seen this. In our friend’s lives, if not our own. In the movies. In books. Today, though, I was able to understand deeper than I ever have before. I brought it all back to the beginning, the fight with God. For a few years I was prone to thinking that God had come between him and someone he was attached to. And I thought a lot about the phrase, a jealous God. While that is a given—we are instructed to know this by scripture—I wondered if the separation was something along the lines of what God did to Job: he separated him from quite a bit, but restored what he had stripped away. Perhaps Lucifer got so mad by a stripping that he was unwilling to remain faithful and wait for restoration. As the study progressed I noticed a kind of knocking, like with an engine. Something about the soul I was studying was having some difficulty. I began counting all the lies that this person surrounded himself in. It was as though all the lies that functioned as his supports were beginning to creak. It lead me to see how unnatural his life really was. You would never guess this by looking at him. Like other Lucifer souls he gave constant assurance that he was just the most wonderful person you could ever meet. It brought back a memory of meeting with him, very early on in our relationship, when I told him what a liar he was. His reaction amused me greatly: he tried to smother the words from coming out. So I just kept repeating them. But he was having none of it. He was a liar, but he didn’t want the air around us to know about it. It might slip out into the great universe. We must keep this secret. Today I put the unnaturalness of his character back up in Heaven, against God. And wondered. And came to some conclusions that I will keep to myself. Just connect the words attachment and unnatural and see what you come up with. Then tie that all together with his working association with the Snake, and I think the mystery is solved. What was it that got Lucifer kicked out of Heaven? What made Lucifer turn on God and swear to defeat him no matter what it takes? Not too long ago I returned to my gratitude journal. Tonight’s gratitude was deep and very heart-felt. I am grateful that this battle is finally over.